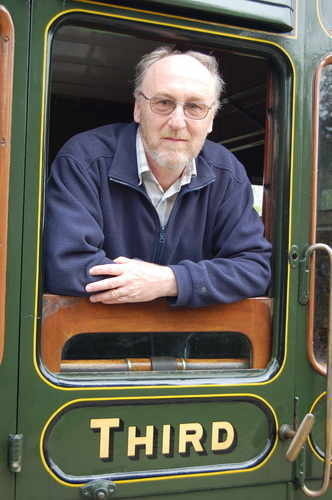 Hello, I'm Nevile Reid, creator of scenic model railways . I'm told that this is the page for my 'CV', so here goes. Along with my name (I am the 6th consecutive generation of Nevile), I inherited my love of railways - real and model - from my Grandfather. A wine shipper by trade, he was a life-long railway enthusiast and an authority on the LNWR. When the history of the LNWR came up as a specialized subject on Mastermind, he scored 100% and insisted, correctly as it turned out, that the official answer to one of the questions was inaccurate! 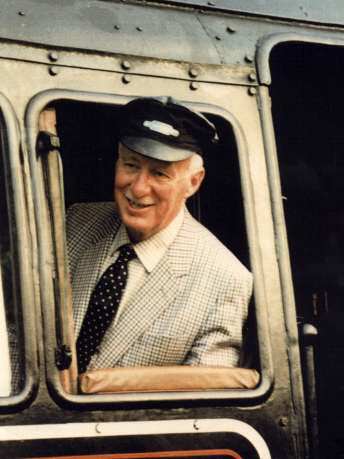 He modelled LNWR and LMS in 00 and three-rail 0 gauge; the latter layout, in a large purpose built shed, was modelled on Rugby Station and measured 80' by 40'. I remember it well - a small boy's dream! During his long and active retirement in the North of Scotland, when not "playing railers" as my Grandmother called it and pursuing his interest in local politics, he spent much of his time researching and collating our family tree which reaches back over 50 generadions to the early 5th century and which is now something of a family treasure. present - a footplate pass on the Bluebell Railway. The loco is a BR Standard 4MT Tank, probably 80064. I built my first model railway - with my Father's help - when I was just five. 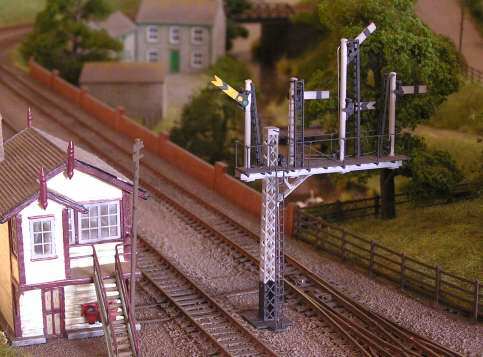 Over the following 30 years, I built a number of layouts culminating in 'Emily Street Shed', a small 00 gauge layout, which, during the 1990s, appeared at some 40 exhibitions. 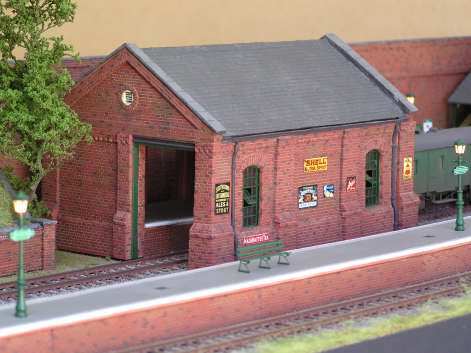 Emily Street Shed was a late-Victorian LB&SCR loco shed 'somewhere in South London', with scratch-built buildings based on actual prototypes and kit-built stock in full Stroudley livery. 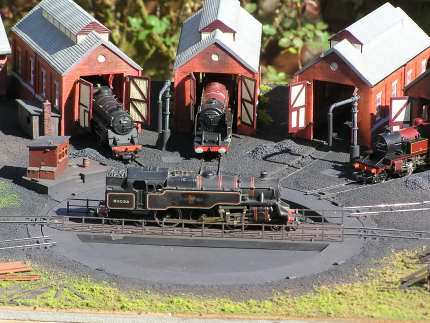 Some of my Emily Street engines on a diorama. Classes A1, C1, D1, D3, & E4 are present. By 1995 I had collected a wife and three (soon to be four) children, and exhibiting Emily Street was becoming less compatible with family life. 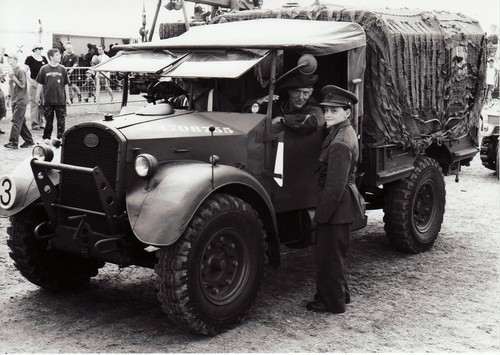 I sold the layout (a decision I have regretted ever since) and developed another interest of mine - military vehicles. I restored and displayed first a 1944 Jeep and then a 1942 British Army Fordson WOT2H V8 wireless truck (modelling in 1:1 scale!). I became involved in WW2 re-enacting , and was a founder member of the group that organized the Bluebell Railway's 'War on the Line' weekends, being personally responsible for the putting Kingscote Station on a war footing for the first two years that the weekend was held. In 2003, again in the interest of family sanity, I made the decision to sell the truck, and I handed over Operation Kingscote - by now a major annual project - to friends. My 'modeller's eye' proved most useful for 'Operation Kingscote' and, conversely, the knowledge I gained about railway operation and infrastructure is now proving invaluable - as was the large garage - initially my workshop - that I built to house the truck! at the War and Peace Show, Beltring. The young Officer is my son. 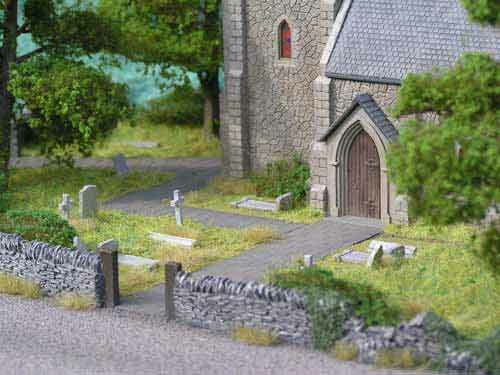 In 2004 I was approached and asked if I would be interested in helping make some dioramas for a catalogue. In subsequent years, I provided dioramas for three catalogues and the dioramas continue to appear in the their catalogues in various guises. I have completed several assorted layouts including an 'under-the-bed' N gauge layout on casters, and 'Dunwich and Old Sarum', an 8'6"x4'6" 00 gauge LMS layout. Currently I am rebuilding a very large 00 layout based on Tonbridge Station c.1960. Looking ahead, I have a number of commissions for layouts of varying type and size. In 2009, I moved into a 'proper' workshop on a farm on the Kent/Sussex border - very 'Darling Buds of May'. 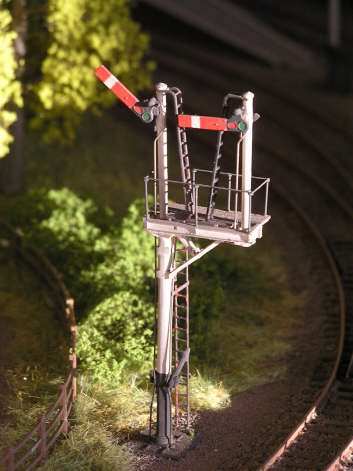 I have experimented with model railway signal building and operation in conjunction with Heathcote Electronics and can offer signalling as a specialist service.